Back again after the Summer break - hope you had a good one. 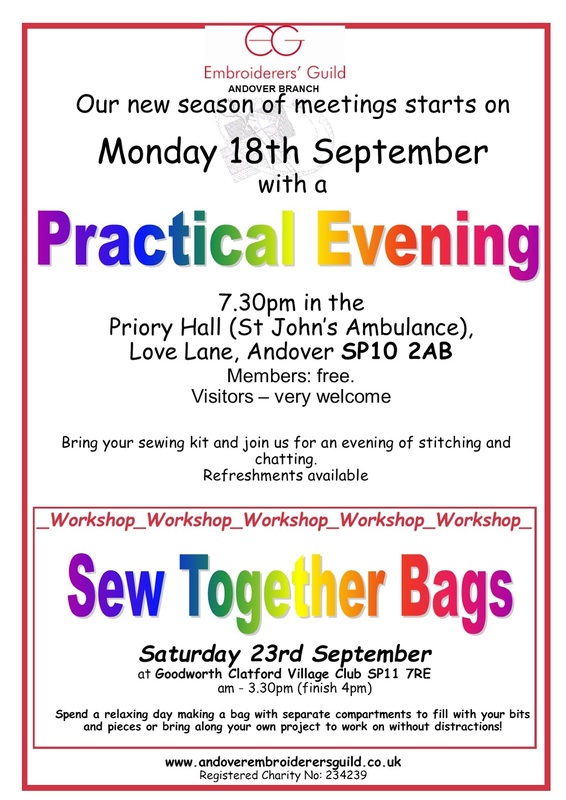 Our first meeting is a Practical one so please bring your sewing kit, scissors, embroidery threads and any felt scraps you may have. Alternatively there will be a kit available for £1. Subs are due and you get a £2 reduction if you pay this month. There are a few spaces on the coach for the Knitting and Stitching Show on 15th October and the final payment is required to secure your place. Finally we have an 'In House' workshop on 23rd. 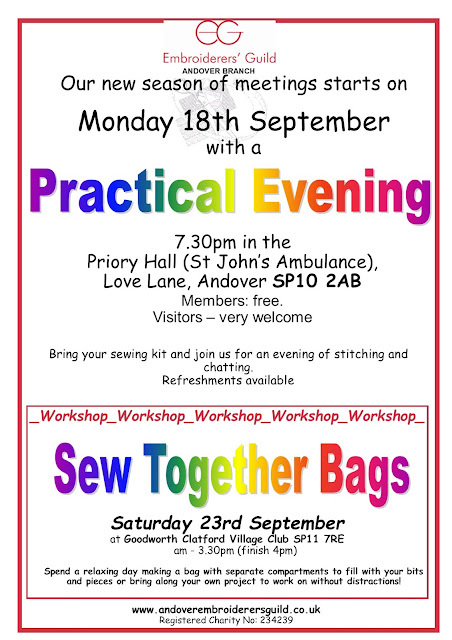 A nice relaxing day sewing with friendly people!